As is the case every year, the BAFTA Game Awards were held in London, surely one of the most eagerly anticipated video game award ceremonies of the year. Hellblade: Senua’s Sacrifice was the most nominated game going into this year’s event with a total of nine nominations, including Best Game. In the end though, Hellblade failed to pick up this year’s top award, and many were shocked when it was revealed that BAFTA’s Best Game award would go to developer Giant Sparrow’s What Remains of Edith Finch. This is an indie game taking place in a Washington home, in which players have to gather clues in order to piece together the stories of dead family members. What Remains of Edith Finch was regarded by many as one of the most fun and original games to hit shelves last year, and what’s remarkable is that Giant Sparrow’s game was up against heavyweights like Zelda: Breath of the Wild and Assassin’s Creed Origins (which were also in the running for this year’s top award), games made with much bigger budgets and teams, making this game’s triumph all the more remarkable. 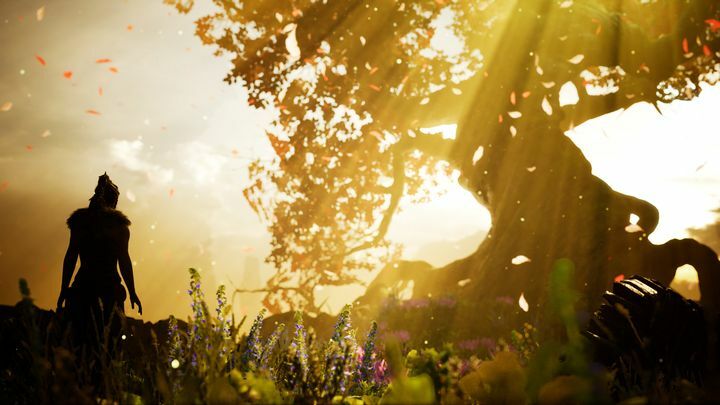 But despite failing to bag the big award, Hellblade: Senua’s Sacrifice was undoubtedly the big winner on the night of April 12. It won a total of five awards, including Best British Game and the Game Beyond Entertainment award. The latter is due to the game’s harrowing portrayal of mental illness, something for which this game was wildly praised last year. Of course, Hellblade also has superb graphics, action and storytelling, and undoubtedly was a worthy winner at this year’s BAFTAs. Also noteworthy is the fact that industry veteran Tim Schafer was the recipient of the Bafta fellowship, which in the past has been awarded to other video game personalities such as industry legend John Carmack. Schafer was behind classic games like Grim Fandango (sadly one of the worst flops in video game history) and Day of the Tentacle, and in his speech the man spoke of the need to “lower the boundaries and let more people into the games industry” and also for “new voices and perspectives to come and shake things up” in the industry. Other highlights of the night include the fact that Divinity: Original Sin 2 won the Multiplayer award, beating the hugely popular Fortnite and PlayerUnknown’s Battlegrounds battle royale games, which was certainly unexpected. And developer Blizzard took home the Evolving Game award for Overwatch, a game which has received numerous patches and updates since its launch in 2016, and still continues to improve with the addition of new features and characters. Here follows a list of the nominees (and winners in each category) of the 2018 BAFTA Game Awards (via Eurogamer).